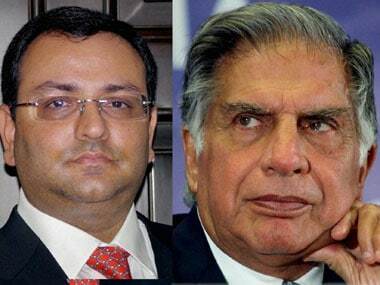 The Ratan Tata-Cyrus Mistry boardroom battle was easily the biggest corporate spat of 2016. 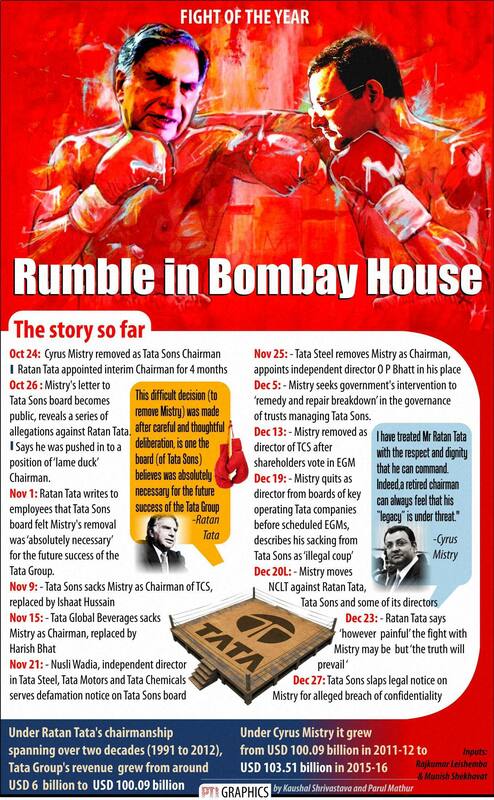 It started on 24 October, when Tata in a surprise and unexpected move, dismissed Mistry as the chairman of Tata Sons. Mistry was appointed as the chairman of the Tata group holding company in December 2012. 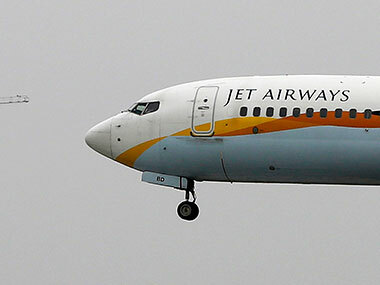 Ever since the ouster, the Tatas and the Mistrys of the closely held Shapoorji Pallonji group have been sparring in the public. 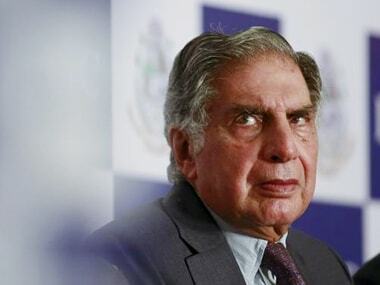 While the Tatas have said Mistry was ousted, as the board of the company lost its confidence in him, Mistry has maintained that the Tatas were afraid of his clean-up drive which resulted in his dismissal. Mistry has also raised various corporate governance issues in the Tata Group since his expulsion. 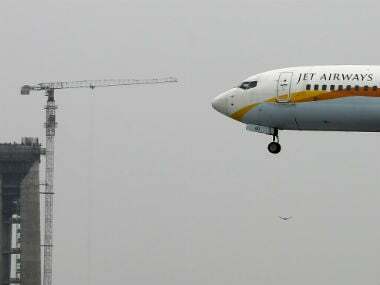 The Tatas also called up extraordinary general meetings of the shareholders of the listed group companies to oust Mistry from their boards. However, Mistry himself resigned from the boards after TCS and Tata Steel shareholders voted him out. 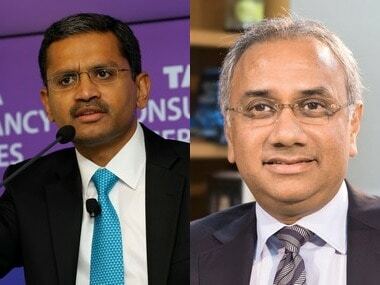 However, a day after resigning from the boards of six listed Tata firms, he took the legal route by filing a suit in the National Company Law Tribunal against Tata Sons. In response, Tata Sons on Tuesday slapped a legal notice on Mistry, alleging breach of confidentiality by making public sensitive company documents including minutes of board meetings, financial information and data. One thing is clear, there is no end in sight to the boardroom battle.